Research has suggested that 4G LTE - a next generation mobile network - could generate more than $100 billion (£62bn) globally by 2014. With 3G now commonplace, the attention has turned to the next generation and 4G LTE could provide the kind of data rates that will keep us connected in style, for a while at least. Juniper Research's latest report suggests that, once launched, the 4G LTE networks will appeal to high traffic subscribers - particularly companies. But Western Europe has been tagged as an area that may not bring immediate profit – unless the network operators concentrate hard on offering businesses a premium package they are willing to fork out for. 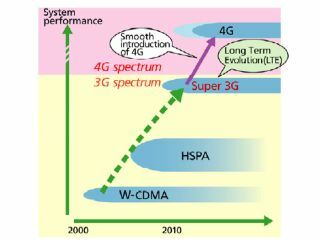 4G LTE Business Models report author Howard Wilcox noted: "In the new report, our business modelling evaluated three scenarios. "The most optimistic view revealed scope for higher revenues and ARPU if network operators adopt premium pricing strategies for enterprise users." That's because, the report suggests, consumer users will generate less than half of the total revenues – at least until 2015.